These look great. I didn’t use a max function, and mine is continuous and differentiable with no “piecewise” definition. In mine, the hub of the propeller is not really a circle, but these are not very visible differences. Now if you put theta on a slider, you can make it spin. Cool. 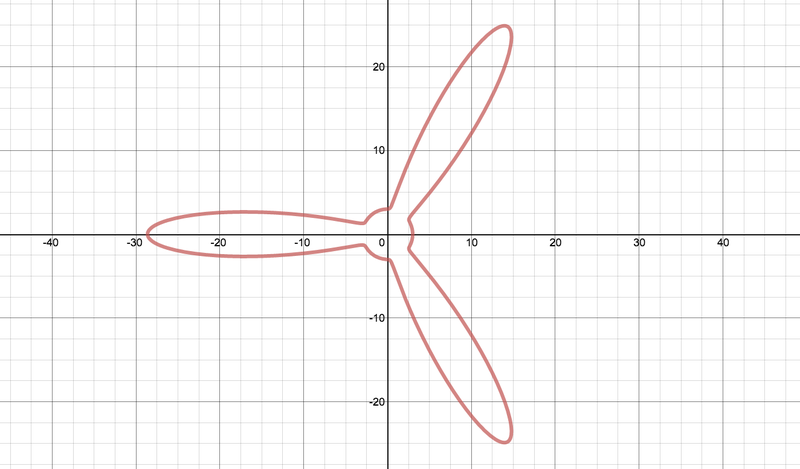 How might you change the center of your propeller from the origin to a different point?